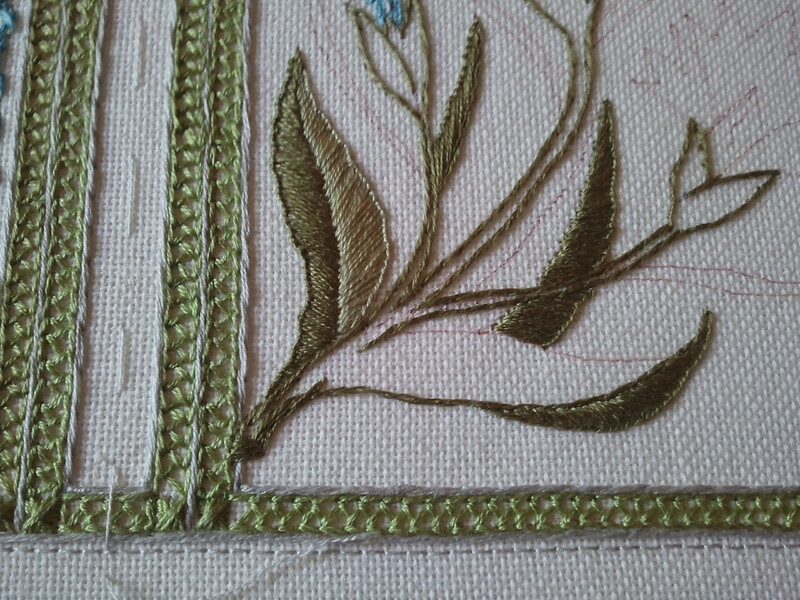 The stem is not only outlines in stem stitch, but filled in stem stitch. There’s still an empty spot at the base of the petals because I’m wavering between pale blue and pale gray. Expect to see a test petal sometime soon, because just holding up threads isn’t getting me anywhere. 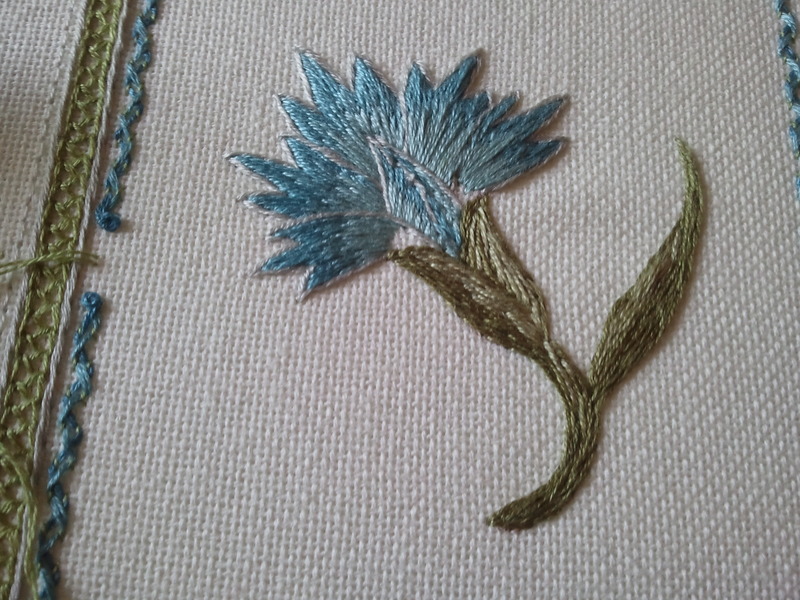 The big leaves are buttonhole stitch, and the smaller leaves are going to be a combination of stem stitch and more textured stitches. This is coming on really well. 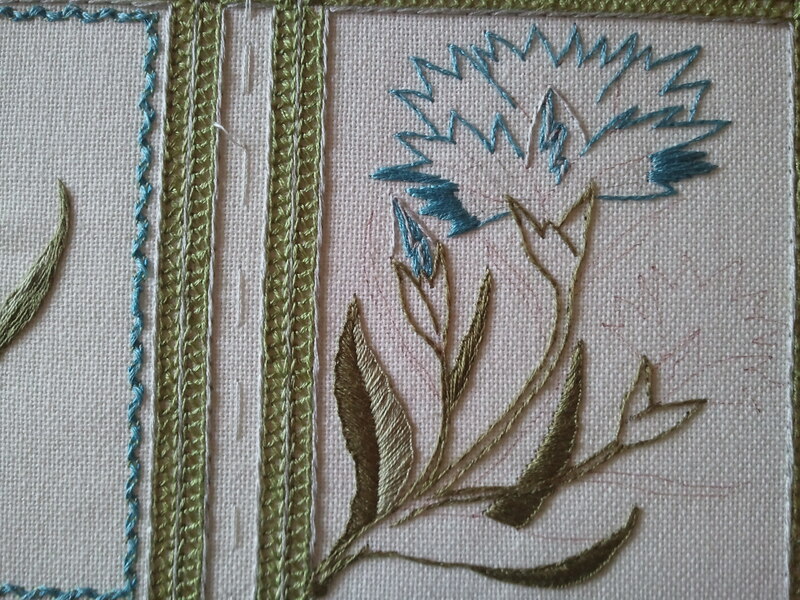 I love the buttonhole stitch leaves. Do you plan all the stitches you’re going to use before you start? Or does it ‘grow’ organically? I tend to do half and half – I have a vague idea of what I’m going to do, but the project itself tends to impose its own ideas as I go! Thanks, Janet! I’m like you–I have an idea of what I’m going to do, but the details get sorted out as I go. If something goes wrong, I can almost always unpick it. 🙂 I will do test color sketches sometimes (I did with this project,) but sometimes I just dive in.